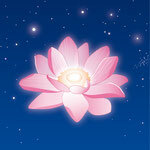 the healers, who work with the pure light of the origin, take place. It enhances the flow of light in order to be a pure healing channel. It supports any kind of energetic healing. Sanefa awakens the memory of being able to heal light with light. Healing angels from Sirius support the spaces, where this healing can take place. Sanefa is helpful when establishing healing temples. Hold the essence with your arm stretched high above your head. Then slowly lead it down towards the lotus chakra, where you hold it for a moment. Then slowly lead the essence downward along the front of each chakra and place the essence between your feet. Then lead the essence upward to the heart chakra, keep it there for a moment and then make a clockwise circle around your heart chakra (first close to the body, then 50cm distance). Repeat step 2 for the solar plexus chakra, and then the sacral chakra. Hold the essence in your hand and make contact with the healing angels of Sirius. 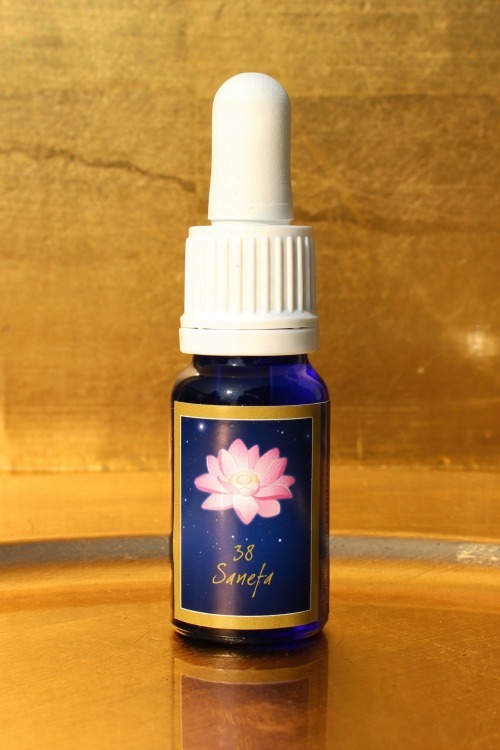 Place one drop each onto the heart, solar plexus, sacral, root, throat, brow and lotus chakra. Then take one drop orally.